Just down the road from the Rustic is Manny's Restaurant. Pleasant surprise finding this one. 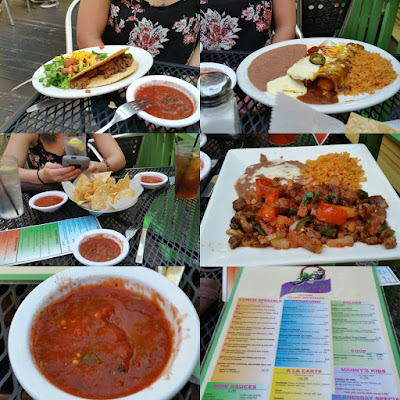 Tasty Tex-Mex... ordered Enchiladas, Brisket Tacos, and Guiso Mexicano. All were good; will need to come back and try the Carne Asada! PS: Salsa is spicy the way we like it!